More than 5 million new roofs are installed across the U.S. each year. With every new roof, homeowners and business owners are faced with the difficult decision of choosing the right materials for the job. From asphalt and wood shingles to tiles and more, there are plenty of options out there. But one roofing material, in particular, offers a number of benefits that can save you money, keep your family safe, and even get you a discount on your home insurance. Is Metal Roofing Best For Your Home? Keep reading to learn how to decide when metal roofing is the right choice for you. Perhaps the best reason to opt for a metal roof is when you want a roofing option that will last.. Unlike a shingle roof that may lose shingles in a wind storm or otherwise deteriorate over time, metal roofs are incredibly durable. While different manufacturers offer different estimates, it isn’t uncommon for companies to back their products for a life expectancy of anywhere from 20 to 50 years. And, that’s just the length of time that manufacturers ensure their products. Your metal roof may last much longer. When you consider that most other types of roofing are only guaranteed to last between 7 and 15 years, that’s a pretty big leap. 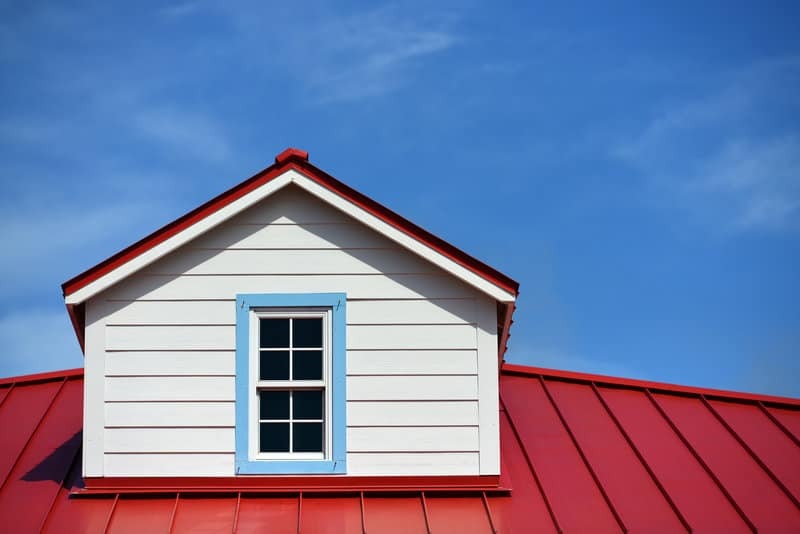 Consider just how many times you’d have to replace other types of roofs during those 20 to 50 years, and you’ll see the advantage of choosing metal. Not only will you not have to replace your roof, but you also won’t need to worry about much maintenance. Besides occasionally repainting it, metal roofs don’t require any of the maintenance and upkeep of other roofing options. More than 4.5 million homes in the United States have been identified as being at risk of damage or destruction from wildfires. While 2 million of those homes are in California, over half are located in other parts of the country. Shingle composite roofs offer little to no resistance to fire. While a raging wildfire will take down everything in its path, metal or not, embers blown by the wind are what ignite a large portion of homes that burn in wildfires. If you have a metal roof, those embers won’t ignite your home, saving you, your family, and your belongings. If you live in an area that is very prone to wildfires or even under a mild threat, a metal roof is an investment in your safety and in protecting your property. Another natural threat that a metal roof is equipped to handle is hail and wind. Even large hailstone won’t penetrate your roof, and a high-quality, professionally installed metal roof can withstand winds of up to 110 miles per hour. The climate that you live in can have a big effect on the durability and performance of your roof. Asphalt and wood-shingled roofs in moist, humid climates are prone to the growth of fungus and moss. And when these begin to grow, they often trap moisture between your roof and the ceiling of your home. This can quickly lead to mildew. Not only can this be a health hazard to your family and potentially damage the interior of your home, but it also damages your roof. In extreme cases, it may even cut the expected lifespan of your shingle roof in half. Metal roofs are resistant to moisture, even in the most humid climates. No moisture means no moss or fungus growth and no mildew on or under your roof. Homes in heavily wooded regions may deal with critters like raccoons and rodents who jump onto your roof from nearby trees. If they can get under your roof, they will, and they’ll get into your attic looking for warmth and food. Rodents and other critters have been known to break through shingle roofs and chew their way straight through plywood to get into your home. Metal roofs eliminate this problem, keeping all unwanted critters out. Ice and snow building up on a shingled roof can quickly lead to leaks. The biggest problem with this type of leak is that it’s often small and slow. If you have an attic or thick walls, you may not even realize that a leak has begun until the damage has had a chance to progress. Metal roofs are impenetrable by water. Their design also helps to keep ice and snow from forming on your roof in the first place, protecting it from leaks and other damage. The many benefits of a metal roof don’t go unnoticed by insurance providers. Adding a metal roof to your home might just net you a discount on your insurance. Insurers see that your investment will help protect your home from wildfires, snow and ice damage, wind or hail damage, and more. This is better for them, as they are less likely to have to shell out to repair your home. They often acknowledge this with a discount on your home insurance. If you’re looking for ways to make your home a bit more eco-friendly, a metal roof is a great choice. Metal is a sustainable alternative to wood or asphalt for roofing material. Plus, the metal that is used to make roofs is made from a minimum of 30% recycled materials. The longer lifespan of metal roofs also makes them the eco-friendly choice over other materials. Metal roofing can be a great choice for any home. It lasts longer than other materials. It can stand up to wildfires, hail, wind, and damage from moss and mildew. It can even help keep out critters and may help you get a discount on your home insurance. Besides these benefits, metal roofing is an eco-friendly choice. If you’re looking for other energy efficient, sustainable options, check out this quick guide next. Should Replacing Your Roof And Gutter Repairs Go Hand In Hand?